Click here for One Monthly Goal May link-up. I tried to resist but was unable to. This FQ bundle of Pastel Pop by Michael Miller was sitting in my stash waiting around for the right project. Angie's tempting emails about joining the 100 day QAL kept arriving in my inbox. You can find this book on Amazon. After some debate, I'm in! The blocks seem quite straightforward to construct and a friend told me the hardest part is choosing the fabric! The trick is remember to IG about it every day - every day for 100 days! (That means May 7 through August 14!) I'll blog about my latest blocks every 10 blocks or so. My goal is to make the blocks in batches ahead of time. Here is block 1 - my test block. There is going to be a lot of yellow in this quilt! You can do it!!! Go go!! Love your fabrics that you chose! 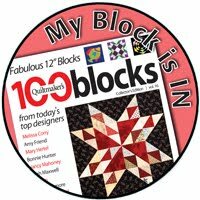 I made these 100 blocks a few years ago following the book on my own and just loved every one! Well, except one...it gave me a lot of trouble. It was one of the last ones. Have fun with your blocks! That's a beautiful fat quarter bundle. The quilt is going to be amazing. so pretty!!! How many fat quarters do you need for the 100 blocks? That's a big commitment! Love your fabrics! Love yellow! What a fun project! Such cute packaging for those FQs. Loved the visual texture in the fabrics you chose. Good luck! So glad to have you joining us and your fabrics look great! 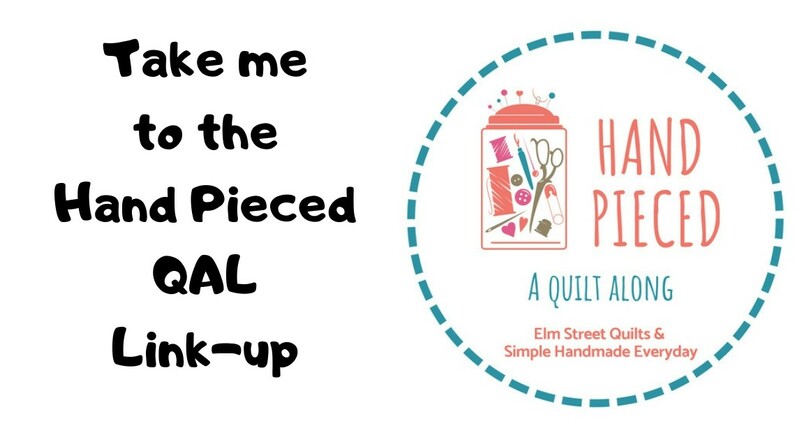 I hope you have a bash making this quilt! That is a beautiful collection of fabric and the basket alone would inspire me to create something. Have fun!! What a great bunch of fabrics, the quilt is going to be awesome. That's a pretty ambitious goal, making ahead seems to be a very good idea. Looking forward to seeing this project evolve. 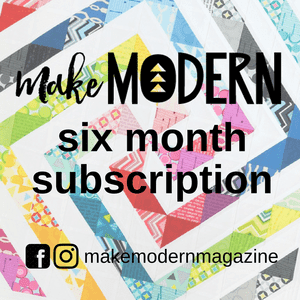 I love this block, and I'm sure it has a lot to do with your fabric choices! I am going to do the quilt this year. How much fabric do you need? I'm going to buy in fat quarters.Thank you!